Do you need a place to express yourself? Do you want to express yourself on different topics? Writing different journal entries can help you put your various thoughts into words. You decide the length and topic of your writing. Let your feelings fly onto different pages. The great thing about journal entries is that they offer you a blank canvas each time you decide to write. No need to pick up where you left off, unless you want to. So, what exactly are journal entries? Journal entries are individual pieces of writing that populate your journal. They are expressions of personal growth, interests and opinions. They are usually between 500-1000 words and each entry can be about something different. Journal entries are usually kept private, as that allows people to write honestly. Getting started with a journal entry can be difficult, but they can take any form you like, from bible journal entries, to food journal entries, to dream journal entries. Here are some creative ideas to get you started. Pretend you are writing a letter to someone. The letter will not be sent, so you can say anything you want. Maybe you write things in this letter you were too scared to say in real life. It can be written to a single person or to a group of people. This is a healthy way to get things off your chest and say the things you are truly feeling. This also helps people deal with stress. Lists are always easy ways to get started. Think about writing a to-do list of things you want to accomplish over the next year. You can even write a list of things you want to write about in your journal. This can be like a brainstorming session for your writing. 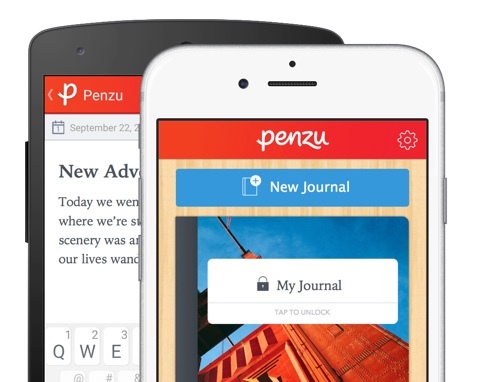 Penzu allows you to add pictures to your journal entries. If you are feeling stuck on what to write, add a picture and write about what it means to you. It can be a picture of a special moment, a special person, a special pet, or a special place. Use this image as a way to inspire you. Write about a person. It can be a stranger or someone you care about. Sit down and write about that person. It doesn't matter if it is truth or fiction. You can let your imagination wander and write a story about what you think this person wants, likes, doesn’t like. Let your mind fill in the blanks and create a character in your mind. Try to write a poem. Think about a significant person and write about how that person makes you feel. Think about a place and how that makes you feel. Try and find emotion in the simple things in life. You can write an imaginary conversation between you and someone else. Or you can write an imaginary conversation between other people. This is a creative exercise that can help you prepare for an upcoming discussion or help you reflect on one that already happened. Put five minutes on the clock and write as fast as you can about whatever comes to mind. This is about just thinking on your feet and focusing on the task at hand. Let loose whatever ideas are at the front of your mind. Identify a memory you find important, although it doesn't have to be. It can just be something you think about often. Describe that memory and what it means to you. How does it make you feel? Are you fond of it? Who was involved? Paint a picture for yourself. The best way to get started with your first journal entry is to download Penzu and begin writing using their software. It is easy-to-use, private and secure. All your posts are dated and saved, so all you need to worry about it what to write. Use this list and get started today! Dream journals are instrumental in fields as diverse as psychology, natural science, creative arts and advanced mathematics. What is your subconscious trying to tell you? Create a collection of adventures, stories, memories, and discovery while you travel. You’ll remember more about your trips and appreciate everything you experienced. A five year journal can help you remember the people and events that matter to you. Bible journals can provide you with a therapeutic way to better cope with everyday situations, understand your feelings and establish a connection between your life and the biblical content. We'll explain what a gratitude journal is, how to figure out what you're grateful for (and why), and some guidelines for keeping one through Penzu.